This entry was posted on Thursday, March 31st, 2016 at 7:06 pm	and is filed under Eating Disorders, Maudsley Approach, Parenting. You can follow any responses to this entry through the RSS 2.0 feed. Both comments and pings are currently closed. Parents can empower themselves by going on http://www.pubmed.gov In the search bar, type in, for example, the phrase anorexia nervosa treatment. About 7,000 published papers will be displayed. I recommend sorting by “most recent.” Personally, I wouldn’t bother reading any papers published more than about 10 years ago. When the titles of the papers are displayed, click on a title and the abstract will appear. If interested, note the title of the journal, volume number, and date, and then google the journal to find its home page. Once on the journal’s home page, click on the relevant volume and issue number, find your paper, then click on the title. This will enable you to buy the full text online with a credit card at a cost that varies, typically from about $15 – $35. Recently, many journals have begun to offer the option of renting papers online for $6 for 48 hours on readcube. Another option is to go on http://www.pubmedcentral.com This is the compilation of all scientific papers for which full text is available online at no cost. By doing this research, parents can fairly easily become experts on the scientific research associated with anorexia nervosa. 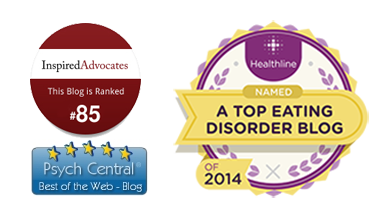 This will enable parents to separate valuable information from pseudoscientific, uninformed speculative opinion that prevails in much of the eating disorder treatment profession. Hi Dr. Ravin, I don’t know if it is strange that I am posting here but I am finishing high school and have struggled with an ED for many years. I’ve always loved my therapist but now I am questioning if she can really help me? I have PTSD as well, so she always blames my trauma for my eating patterns, tells my mom that she is overbearing and that I am old enough to eat by myself, and recently has stopped inviting my Mom in to our sessions. I’ve told my Mom that I need her to cook for me because I am too scared to be around food without her, so she has been cooking and eating with me. My therapist thinks this is bad. As a teen, I admit that I complain about my Mom a lot in sessions but I love my Mom! She says I am too attached, and have no friends because my Mom won’t let me go out alone with friends because it’s hard to find meals/snacks when I’m alone. I feel like these are all red flags? I feel really strange posting this on here but a small part of me wants to get better and I feel like this won’t help me do that. I think it is courageous and wise for you to ask yourself the important question of whether your treatment is really helping. 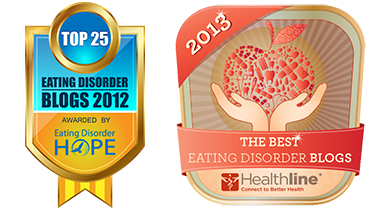 Both PTSD and eating disorders are treatable illnesses, and it is possible to achieve full recovery from both. While there are evidence-based treatments available for both conditions, the unfortunate reality is that many clinicians do not practice evidence-based treatments. The best available scientific evidence strongly suggests that teenagers with eating disorders are much more likely to recover when their parents play an active role in helping them recover at home. For most teens, this means that parents shop for food, cook meals, and share family meals together. These are healthy habits for families in general, and especially important habits to adopt when there is an eating disorder present. It is mature of you to realize that you need your mother’s help. Of course you complain about your mom – all teenagers do! But, as you seem to realize, any gripes or complaints you have about your mom do not negate the fact that she is your primary caregiver and she has your best interest at heart, and thus she is in a perfect position to help you recover. I think it is wonderful, and very recovery-minded, that you have asked your mom to cook for you and eat with you. I would encourage you to continue to be assertive with your mom, tell her what you need, and ask her to help you in ways that you find beneficial (which likely includes cooking for you and eating with you). There will be a time later in your recovery when you are well enough to cook for yourself and eat on your own, but now is not the time for that. I would encourage you to refer your mom to FEAST: Families Empowered and Supporting Treatment for Eating Disorders. This website has great reasources and information for parents of patients with EDs. I would also encourage you to speak with your mom about your concerns about your therapy. Let your mom know that you really want and need her to be a part of your treatment, you’d like her to attend your sessions, and you really want her to help out with your eating at home. Perhaps you and your mom can have a joint conversation with your therapist about ways that mom can help you at home. I would also encourage you to be assertive with your therapist about what you find beneficial. Tell your therapist that you’d like your mom to attend at least some of your sessions, and that it helps you to have your mom cook for you and eat with you home. A good therapist will be open to feedback from a patient, and from the patient’s family members. Ideally, you and your mom and your therapist will be able to communicate openly about these concerns and come to an agreement that is most beneficial to you, at this point in your recovery. Remember that there are multiple treatment options available. Family-Based Treatment (FBT), which has the strongest evidence base for teens with eating disorders, empowers the family to work together to help the teen recover. You are welcome to email me privately at info@drsarahravin.com and let me know what city and state you live in. I may be able to provide you with referrals to FBT therapists in your area, if this is a route you’d like to pursue.